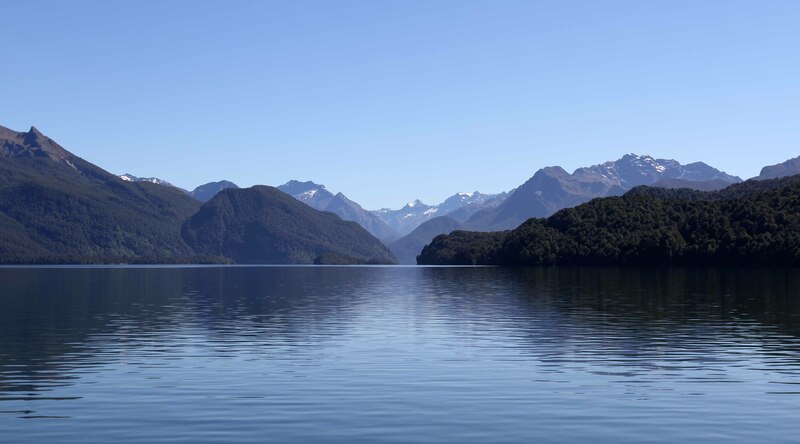 Lake Te Anau, on the boat ride to the start of the Milford Track. 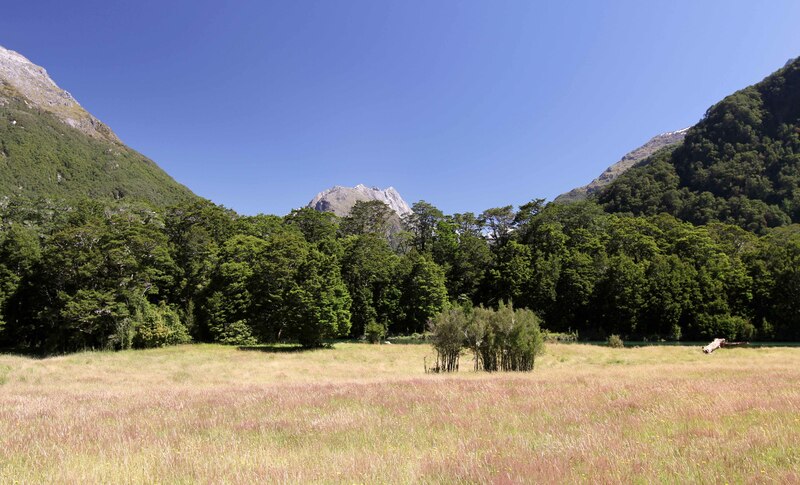 Meadow near the start of the Milford Track, by the Glade House. 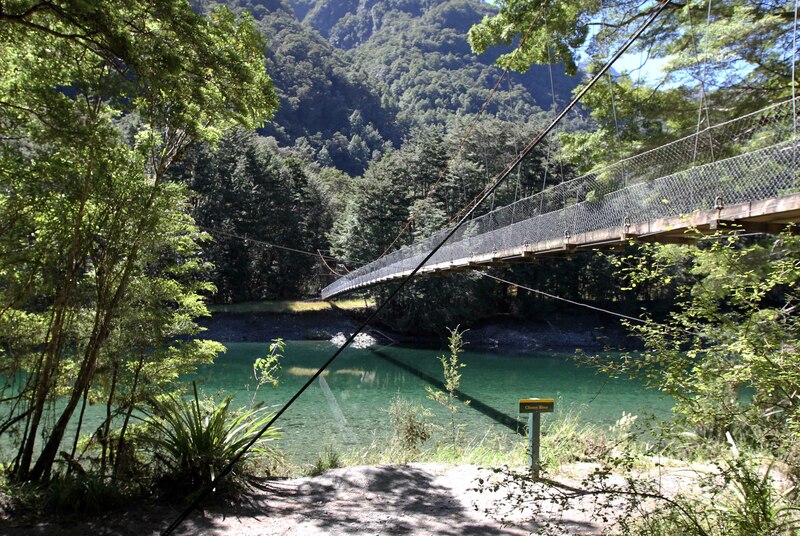 Suspension bridge over the Clinton River. View of the Clinton River. Boardwalk over protected wetlands, next to Clinton Hut. View from the wetland area next to Clinton Hut. 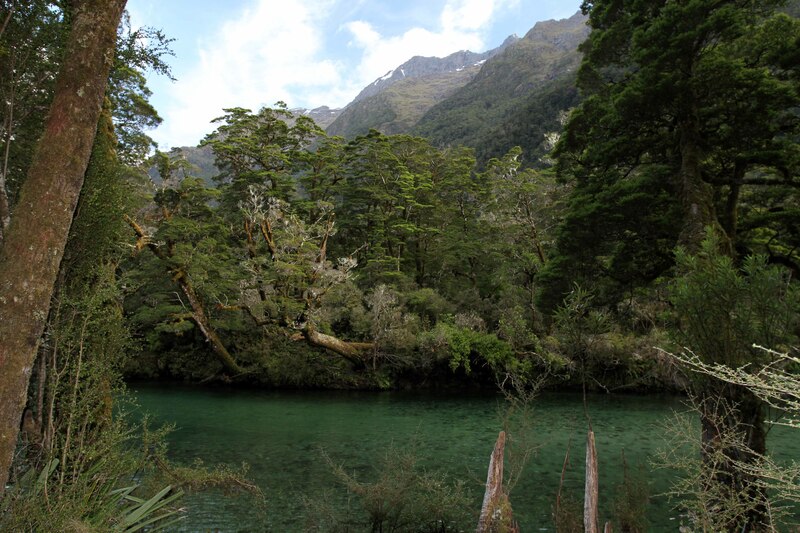 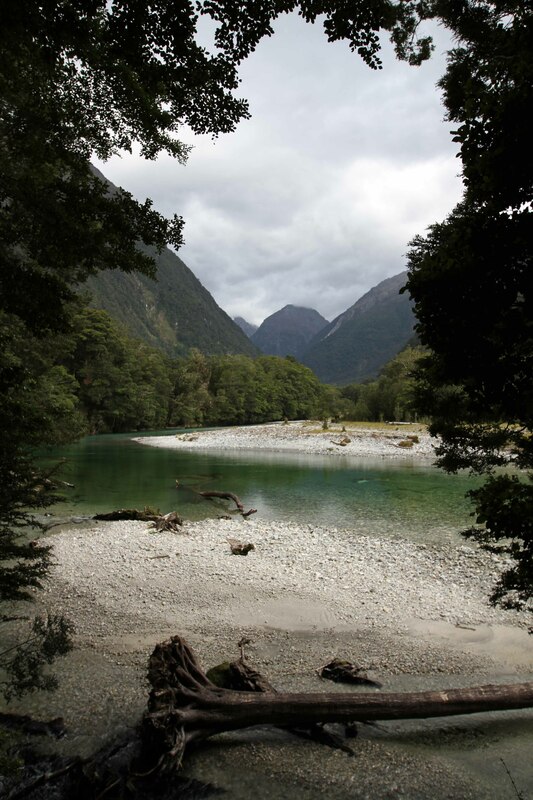 Freshwater eels (called “tuna” in Māori) in the Clinton River. 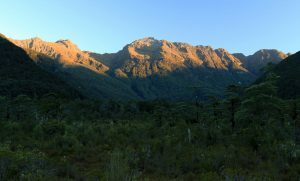 The mountains at sunset, seen from Clinton Hut. Hiking along the Clinton River in the morning. 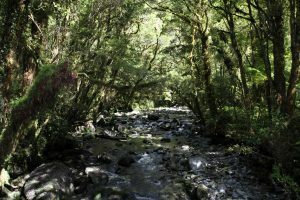 View of the river through the trees. 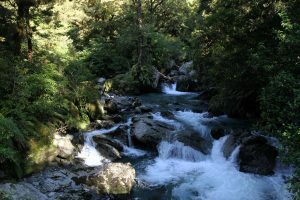 Some rapids on the river. A calm part of the West Branch of the Clinton River. Hiking through the Clinton Valley. The trail winding through the forest. The trail nearing Mintaro Hut. 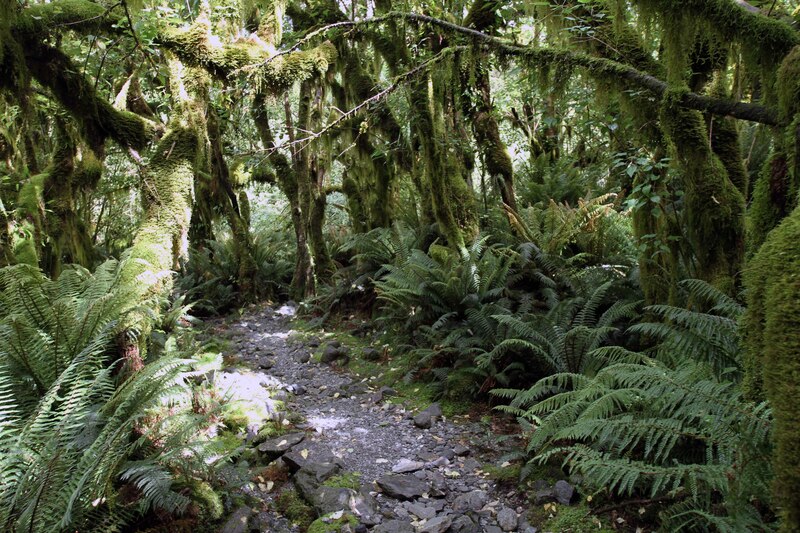 The rainforest in the morning. 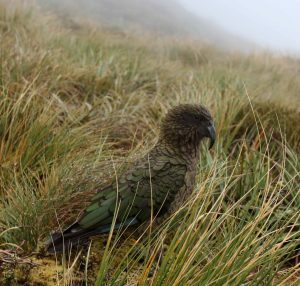 A kea on Mackinnon Pass. 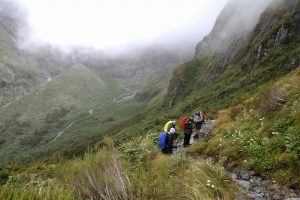 Fellow hikers descending Mackinnon Pass. Continuing the descent from Mackinnon Pass. 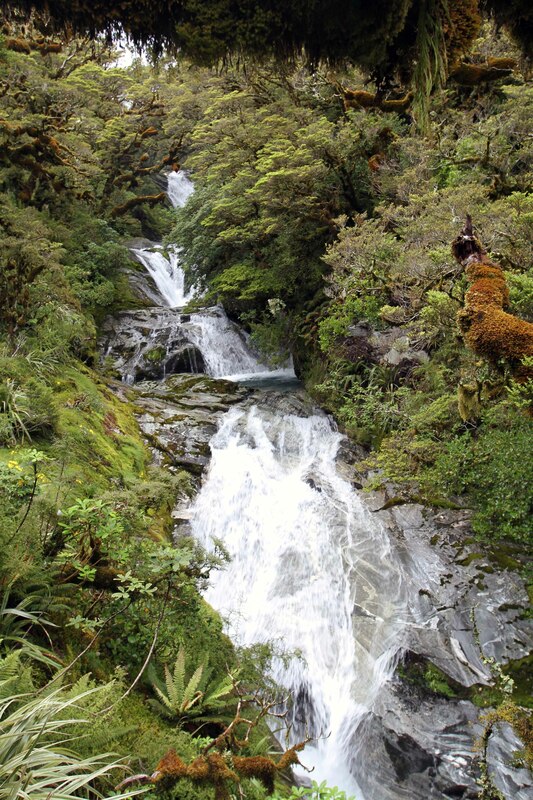 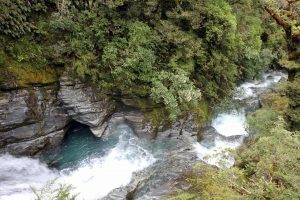 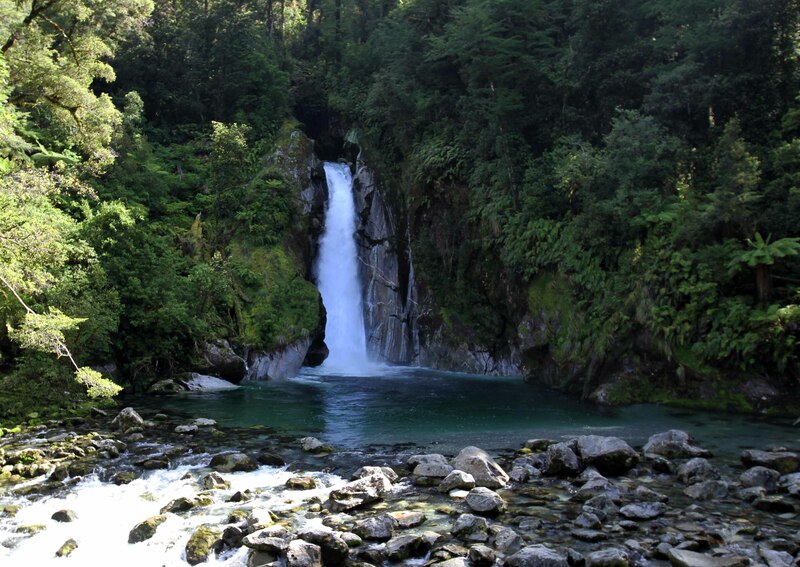 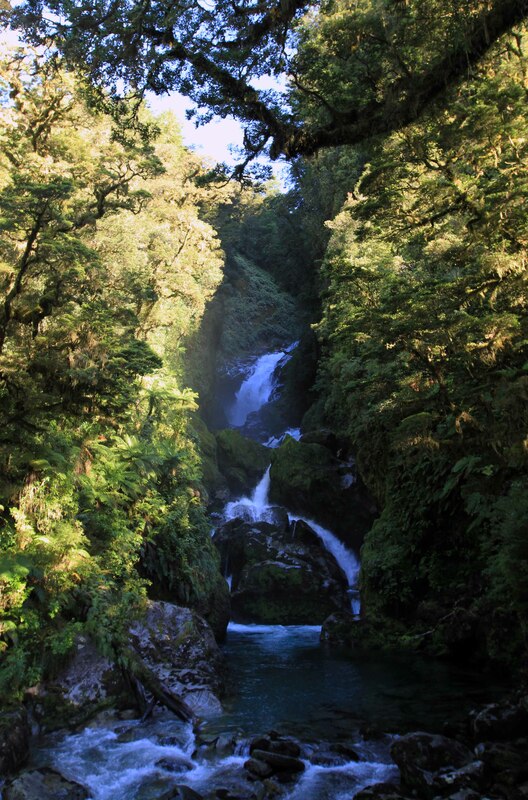 Roaring Burn Falls on the Milford Track. 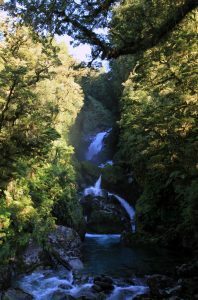 The Roaring Burn plunge pool and cascades. 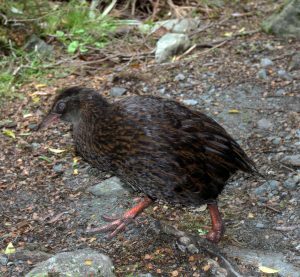 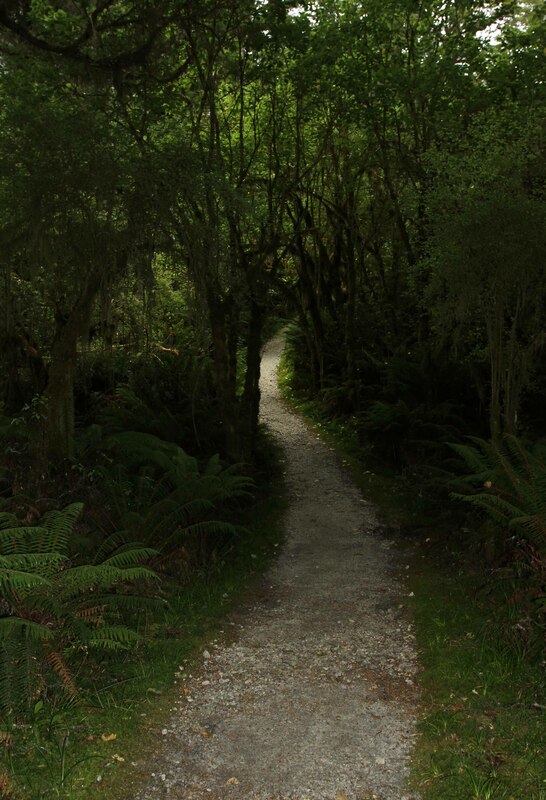 A weka on the trail. 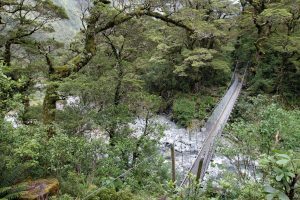 Suspension bridge over a creek in the rainforest. 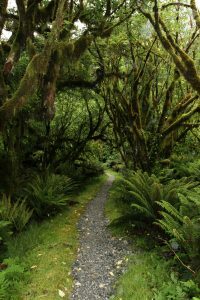 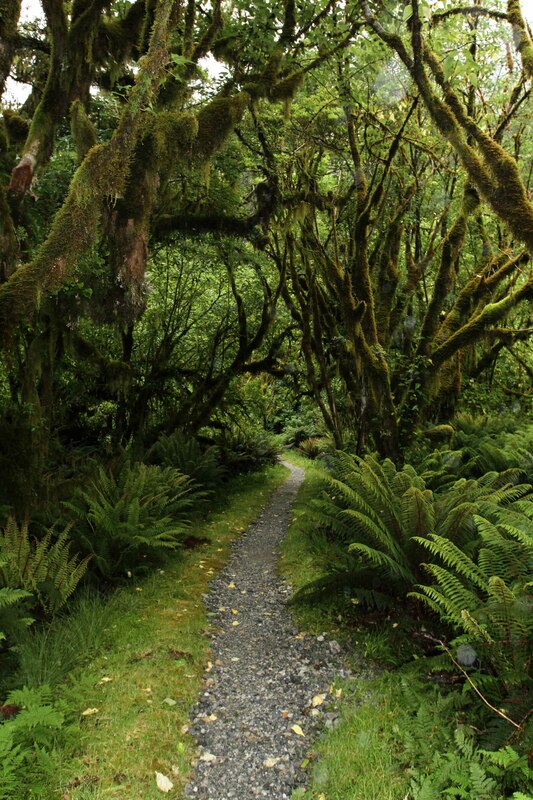 The trail through moss-covered trees. 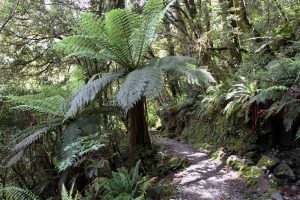 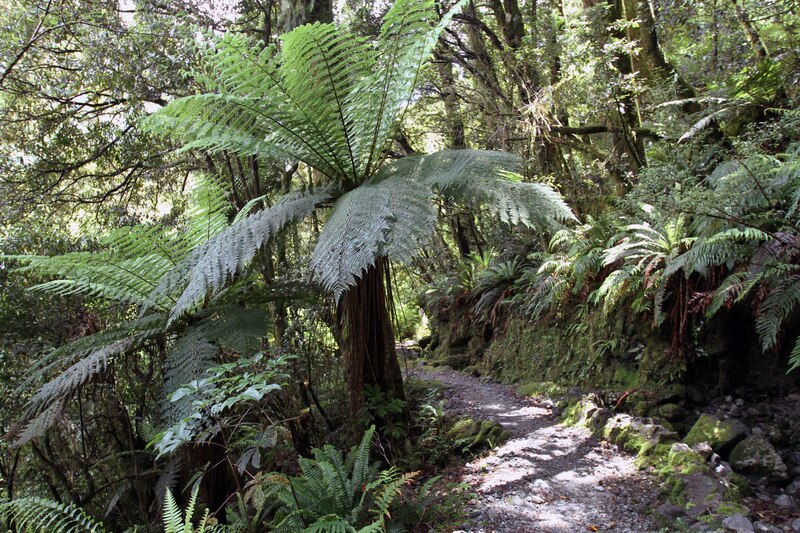 Rough tree ferns along the trail. 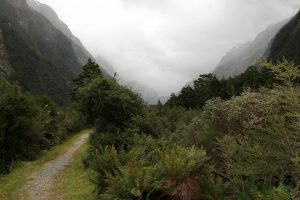 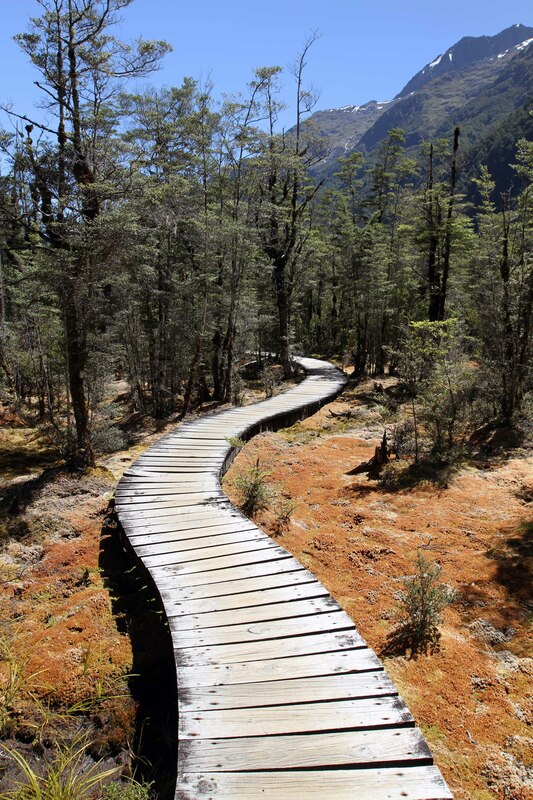 The trail along the edge of Arthur River. 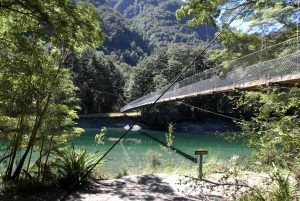 Arthur River in the morning with a suspension bridge in the distance. 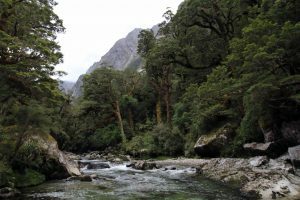 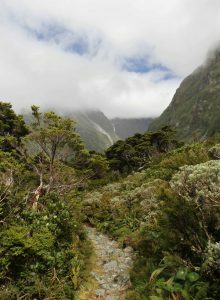 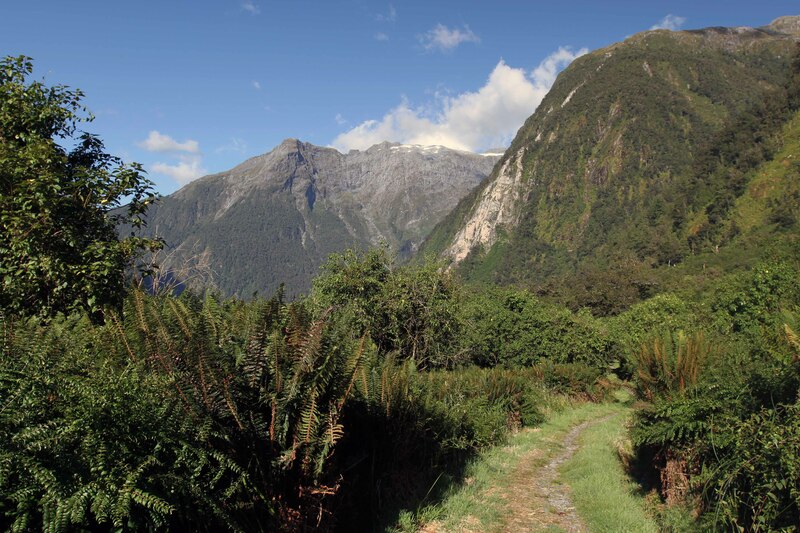 Mountains and ferns on the Milford Track. 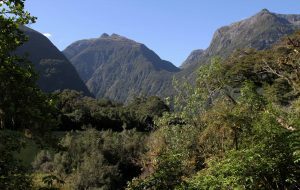 Mountains on the south-side of Arthur River, looking toward Joes River Valley. 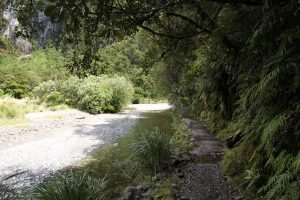 The trail climbing alongside Arthur River. The Sheerdown Hills, on the south-side of Lake Ada. 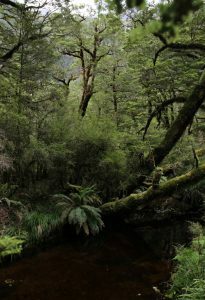 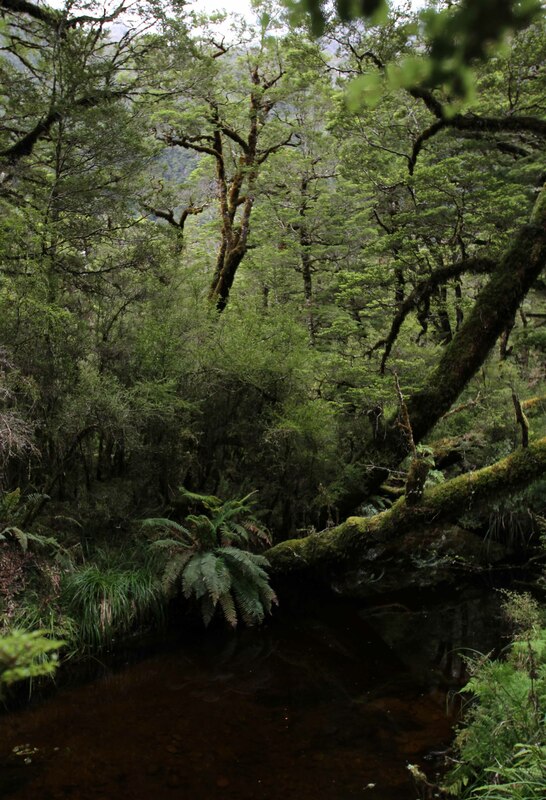 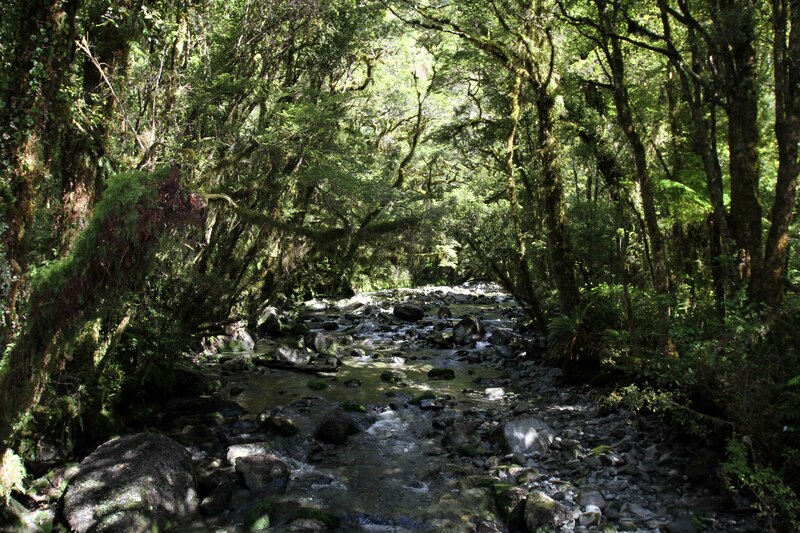 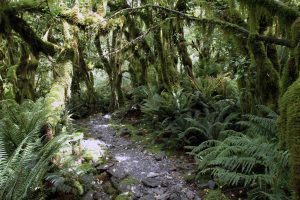 A creek in the rainforest. 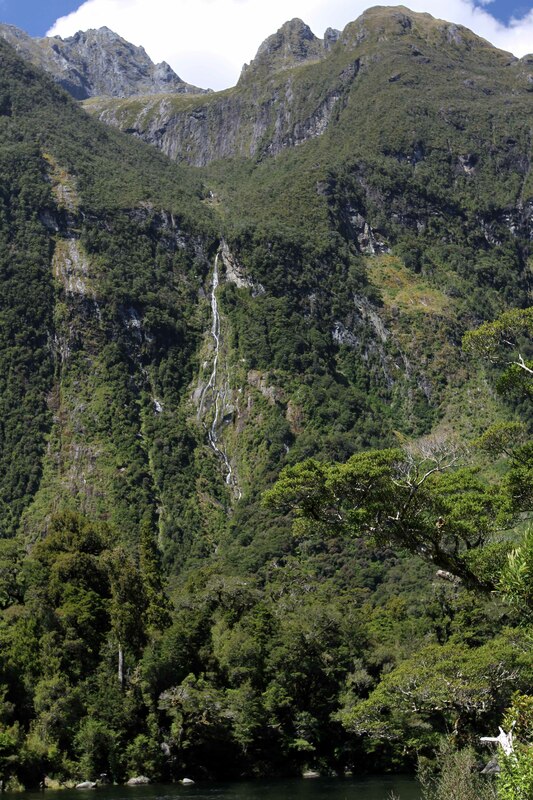 A waterfall plummeting from the Sheerdown Hills. Deepwater Basin, near Sandfly Point. 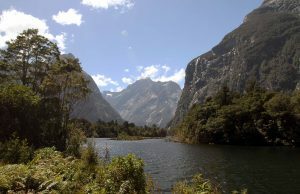 Another view of Deepwater Basin. 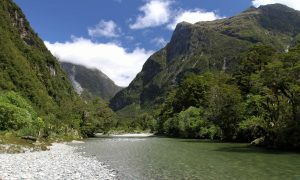 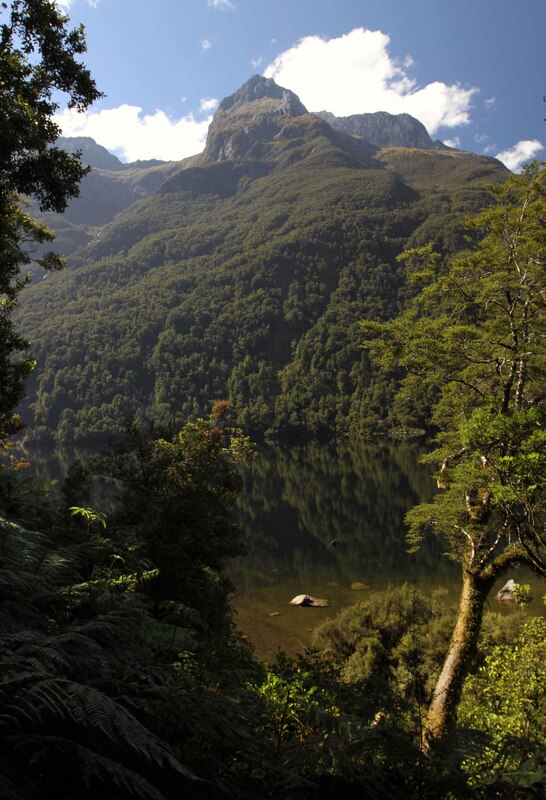 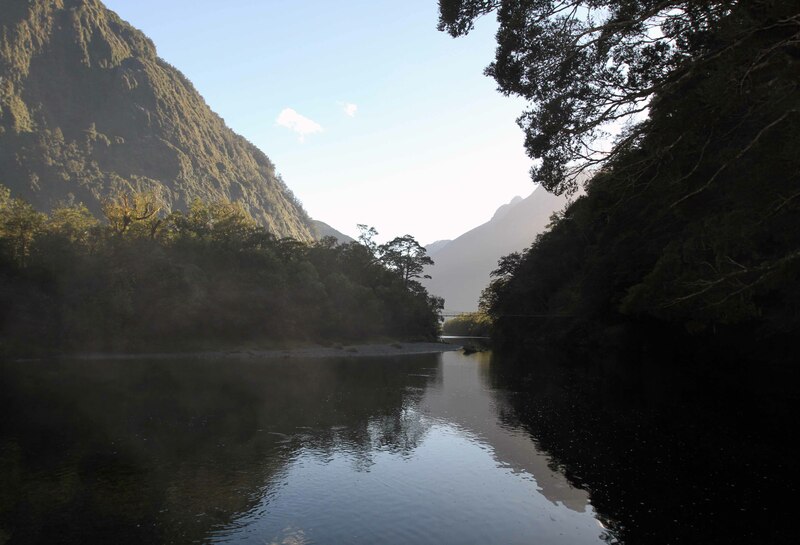 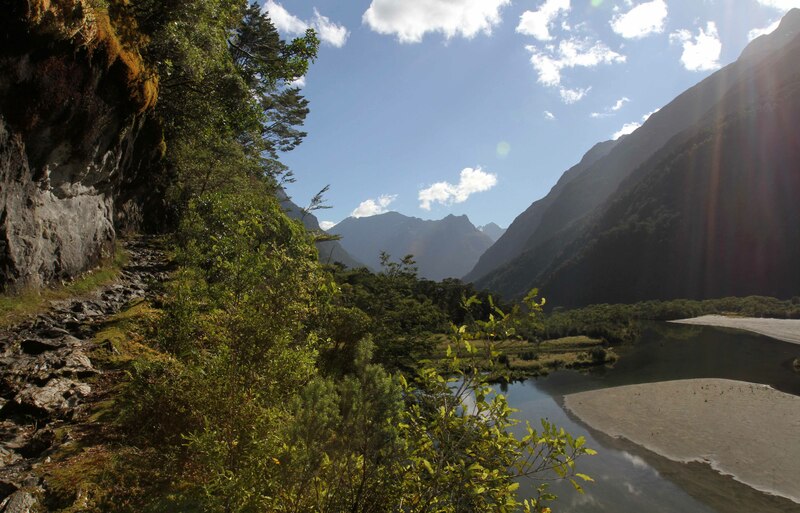 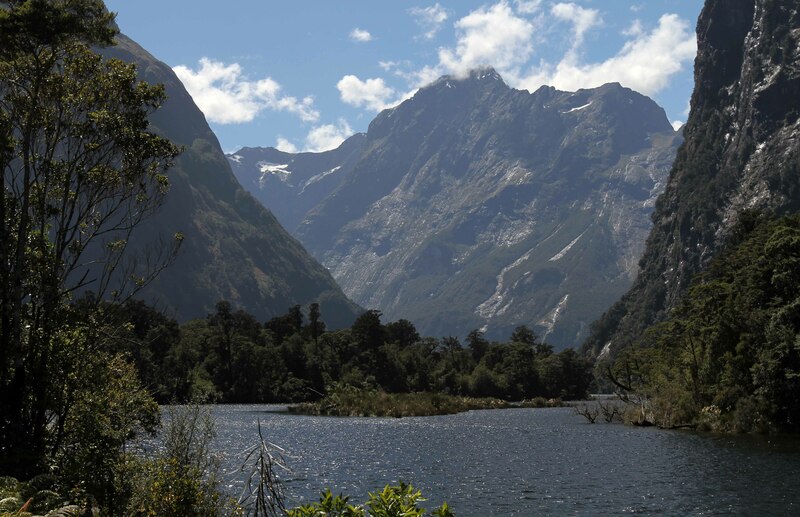 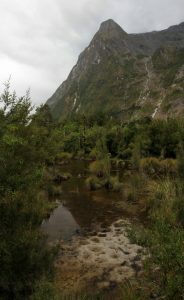 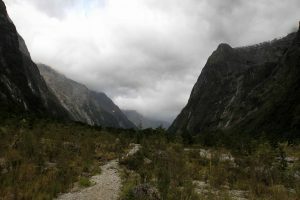 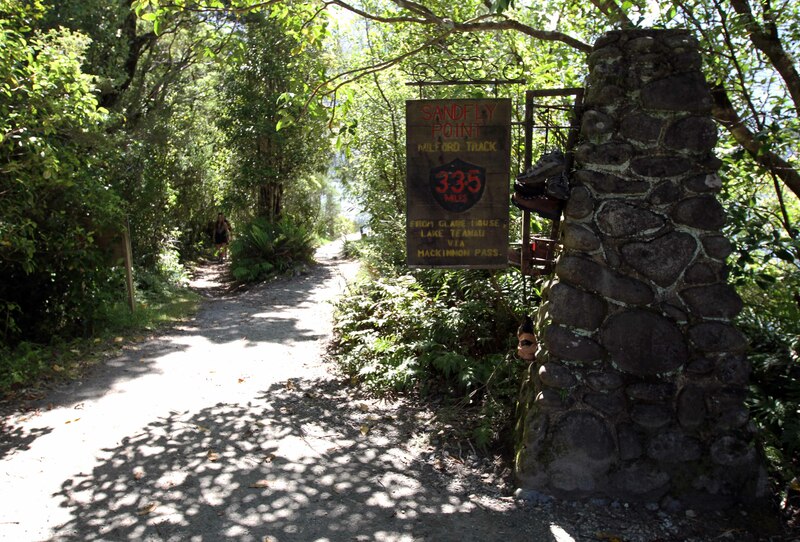 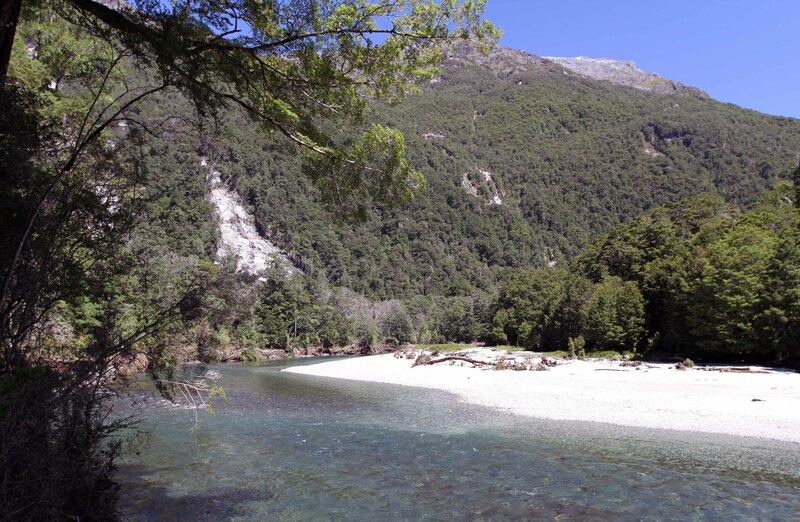 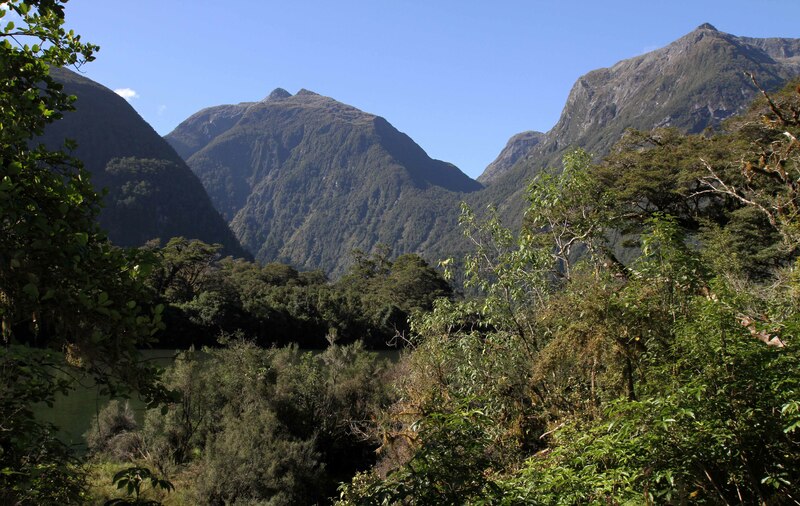 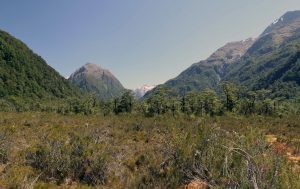 Sandfly Point, the terminus of the Milford Track. 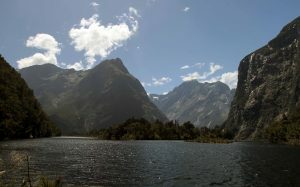 Deepwater Basin seen from Sandfly Point. 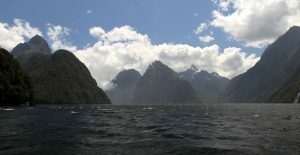 Milford Sound, seen from the boat transporting hikers from Sandfly Point to the Milford Sound Village.